Humans are social beings. We need to communicate in order to function as a society. Without communication we cannot have peace, harmony and support for each other. 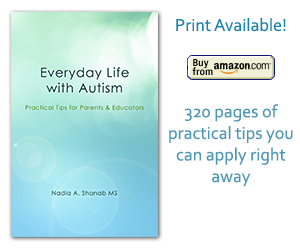 Parents of children with special needs are particularly required to be active and proactive communicators. Why? From my experience, parents who lock themselves up in their shells tend to aggravate their problems. They condemn themselves to live with their made-up believes and assumptions, based on hopelessness, shame or denial. These beliefs keep turning and growing everyday in their heads like a snowball. Their perspective becomes narrow. Parents then become non-factual and their actions will be less effective, due to being based on illusionary foundations. What should these parents do? « How are you doing today? Woah this blog is excellent i really like studying your articles. Stay up the great work! You know, many people are searching around for this info, you could aid them greatly. I am glad you found useful! Cheers! Excellent post. I was checking continuously this blog and I’m impressed! Very helpful info specifically the final part 🙂 I deal with such info a lot. I was seeking this particular information for a very lengthy time. Thank you and best of luck. Thank you very much, and all the best of luck to you too.